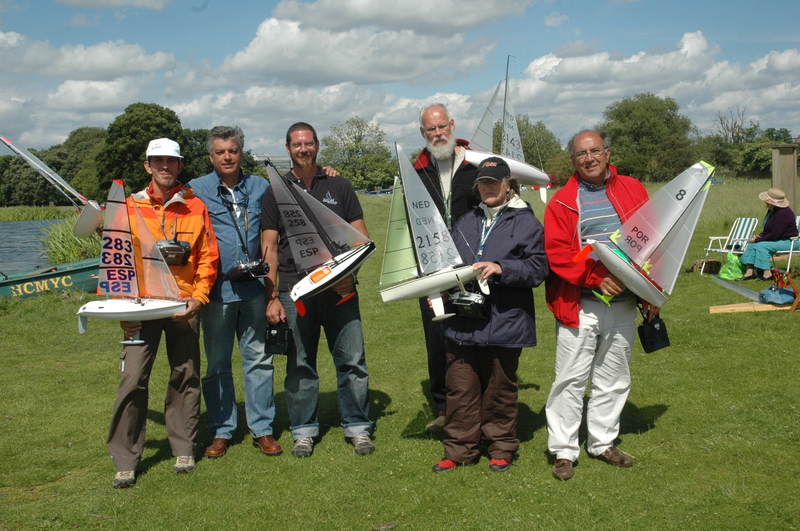 Sundays racing was the Micro Magic Open Race with 7 visiting skippers joining Victoria and Bernie for a total of 9. Shifting winds and the unannounced arrival of power boat members made this a difficult day. 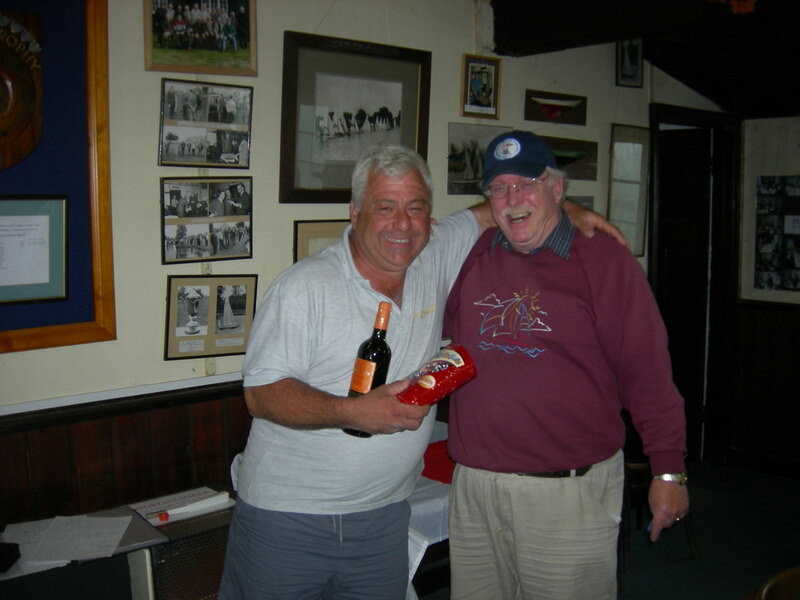 In the end after 14 races John Tushingham was the clear winner on 16 points. 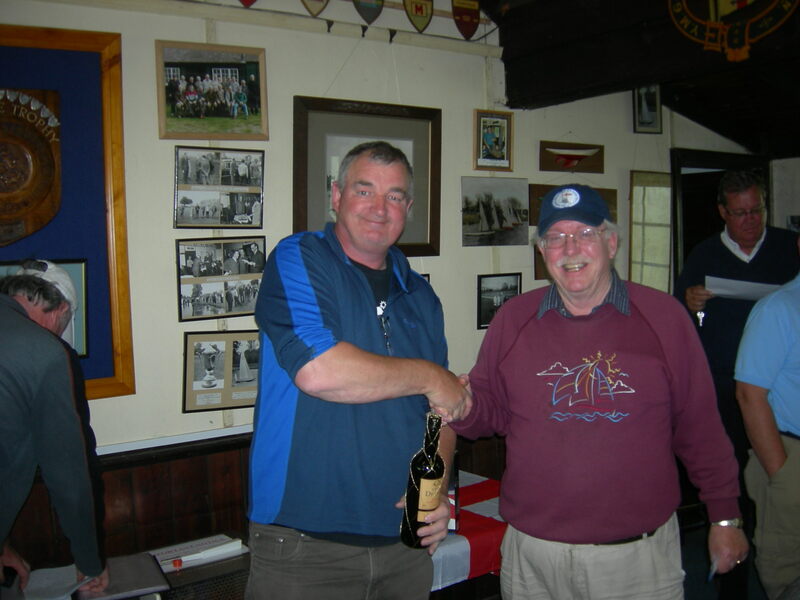 Second Place went to Buzz Coleman (Coalhouse Fort). Sorry Buzz but I didn’t get a photograph, but a very well deserved place. Third Place, Max Kettner (Madrid). 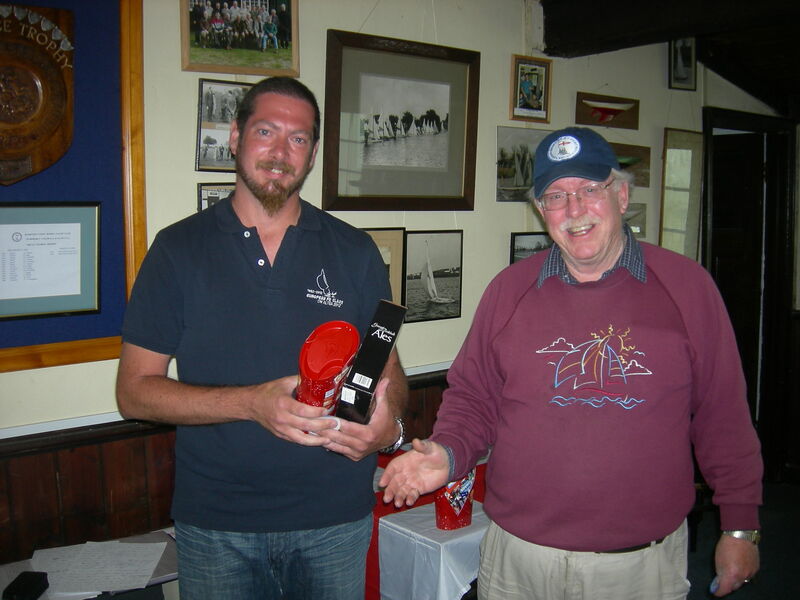 Fourth Place, Mike Weston (Swanley) even after falling into the lake on day one. 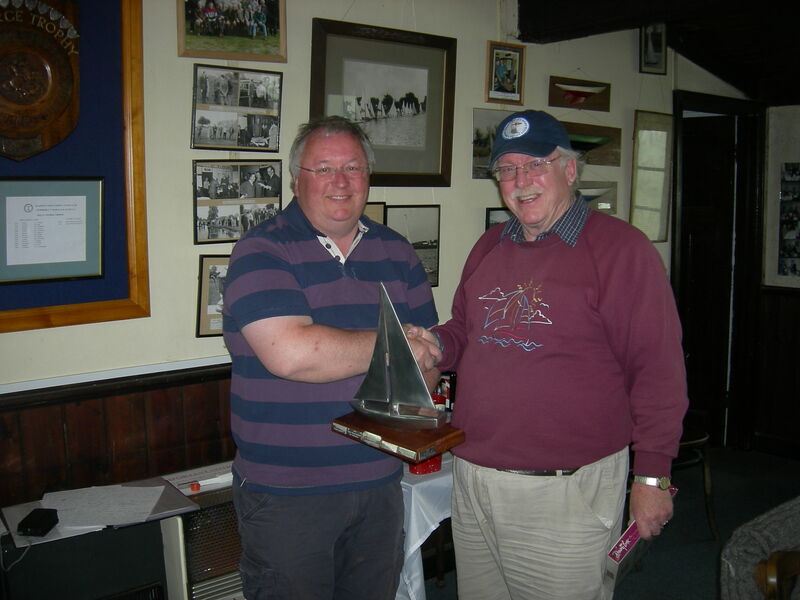 Fifth place, Peter Spence (Brentwood) a good win considering this was the first MM competition he has sailed in this year. Sixth Place went to Jorge Camilo (Portugal) unfortunately Jorge had to dash off to Heathrow to catch his flight his prize will be forwarded on to him. Congratulations to the winners and all that took part in the event both organising it and racing, it was a very good weekend despite the weather. Thanks to Buzz Coleman for the Photographs. Micro Magic National Championship Results 16-17 June 2012 Hampton Court MYC. Initial results show John Tushingham, Mike Weston and Buzz Coleman are the top 3. Wind slightly lighter this morning.